No, no you can’t. 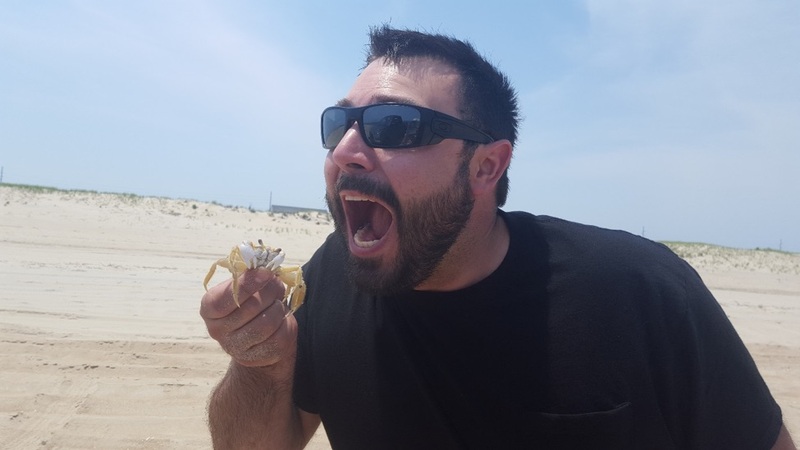 Unlike blue crabs, I don’t recommend eating the Atlantic Ghost Crab (unless you’re a bird or raccoon). But the question made me realize that many beach-goers have never seen one of these little guys skittering across the sand. These visitors either visit more disturbed beaches where ghost crabs can’t survive, or they simply haven’t been outside at the right time of day. the burrows to hibernate during the winter. To the average beach-goer, these just look like holes in the sand. Younger crabs burrow closer to the water and are darker in color, whereas older crabs burrow higher up on the beach and are lighter in color. (The crab in the picture to the right picture is likely an adult because of its lighter colored shell.) Incredibly, they can even change their colors depending on their surroundings! One common misconception about these little guys is that they must frequently return to the ocean to wet their gills. While this is the primary method of achieving this, ghost crabs can also use the fine hairs located on the base of their legs to wick up water from damp sand. Then later, when they are able to return to the water, they brace themselves on the sand and let the incoming waves crash over their bodies, rather than entering the water completely. Unfortunately, humans have a direct impact on ghost crabs and can easily collapse or drive them out of their burrows. So next time you go to the beach, take care not to trample the sand that may cause the burrows to collapse. Pick up a piece of litter; litter washed from streets or left directly on the beach can trap and kill the crabs. Lastly, but most importantly, do your part for clean water because the land and water are directly connected. 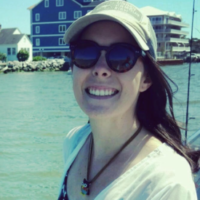 Michelle is the Watershed Coordinator with the Center for Inland Bays. Prior to this position, Michelle worked for the American Forest Foundation as the Western Conservation Coordinator and for the USDA Farm Service Agency as a Program Technician. She holds a B.S. in Environmental Studies and Physical Geography from Salisbury University and a Master’s of Natural Resources degree from Virginia Tech. 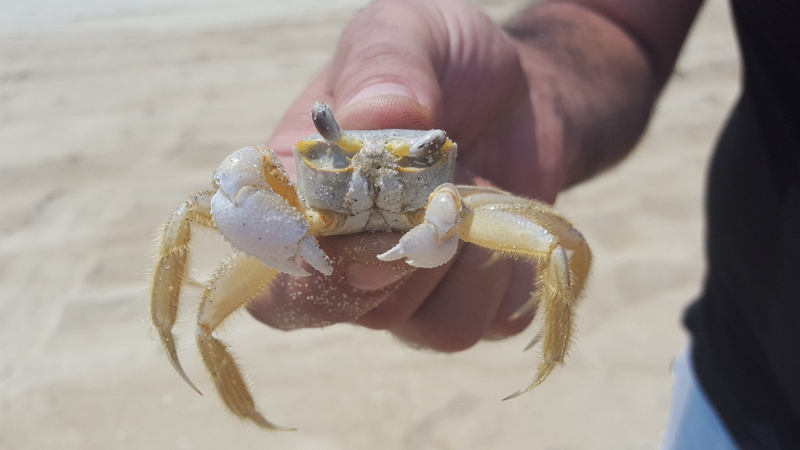 This entry was posted in Staff Blog and tagged crabs, delaware seashore state park, ghost crabs, water quality. Bookmark the permalink.